We’re proud to welcome a brand new Beaver Colony to The Den, opening at the beginning of March. Beavers are the youngest section of the Scouting family, catering for 6-8 year old boys and girls and will meet on Friday evenings between 17:30 and 18:30. 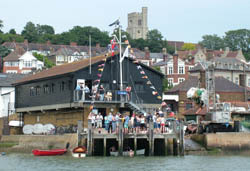 Welcome to 3rd Chalkwell Bay Sea Scout Group. Founded in 1931, 3rd Chalkwell Bay operates from our purpose built headquarters in the Old Town of Leigh-on-Sea in Essex, where we run a huge array activities and training for boys and girls ages 6 to 25 and beyond, offering challenge and adventure to over 200 young people in the local area. We are recognised by the Royal Navy as one of the top 100 Sea Scout Groups in the country. 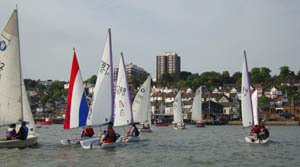 The Group is an accredited Royal Yachting Association and British Rowing Training Centre, with our own in-house instructors training young people in a variety of nautical disciplines to national governing body standards on most week nights and weekends, using our fleet of 30 sailing, rowing and power boats. Maritime training is a key element of our syllabus, but it is by no means the only part – traditional Scouting activities such as camping, hiking, climbing, visits to new places, community work, and of course building new friendships, are all part of 3rd Chalkwell Bay. The Group offers all five age-based sections of Scouting: Beavers for 6-8 year olds, Cubs for 8–10½ year olds, two Sea Scout Troops for boys & girls aged 10½ – 14, and the Endeavour Explorer Sea Scout Unit for 14-18 year olds; Southend West Scout Network for 18-25 year olds also meets at The Den. All sections are led by a dedicated and experienced team of volunteers and qualified instructors. The Leigh Creek Guzzlers is open to anyone who has ever been associated with the Group and wishes to keep in touch socially. We rely on donations and fundraising, along with our members’ subscriptions, to keep the Group running & active, and ensure Scouting in Old Leigh remains accessible affordable for all.